"Proposed Destroyer ... Oct. 15, 1912." 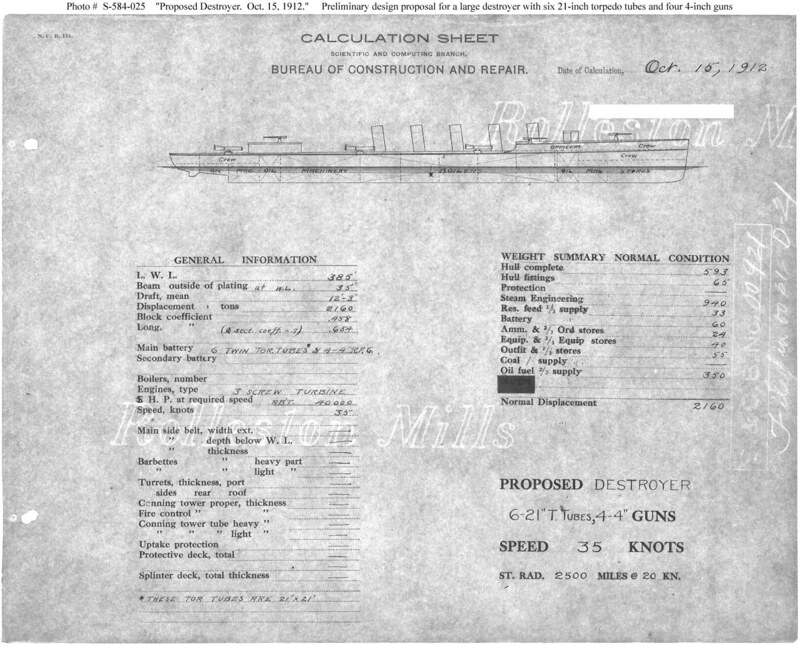 Preliminary design plan prepared for the General Board during consideration of designs for destroyers to be included in the Fiscal Year 1914 program. This plan provides a very large (2,160 tons normal displacement) destroyer, 385 feet long on the load water line (L.W.L.) 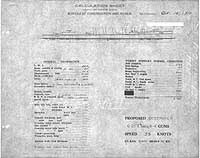 and 35 feet in beam, with four 4-inch guns, six 21-inch torpedo tubes, turbine machinery and a speed of 35 knots. This design concept was abandoned in favor of continuation of destroyers having a displacement of about 1,000 tons.